Image lifted from Chinese media video clip. More than publicity for China’s commercial aviation sector, the biennial Zhuhai Air Show serves as a giant weapons bazaar, meant to draw potential customers from all over the world. In Zhuhai 2018 Chinese-made weapons systems were displayed both indoors and outdoors with a special occasion for Norinco to parade its armored vehicles. There were a few curiosities as well. One of them was a rare portable anti-tank guided missile (ATGM) mounted on an all-terrain vehicle (ATV). 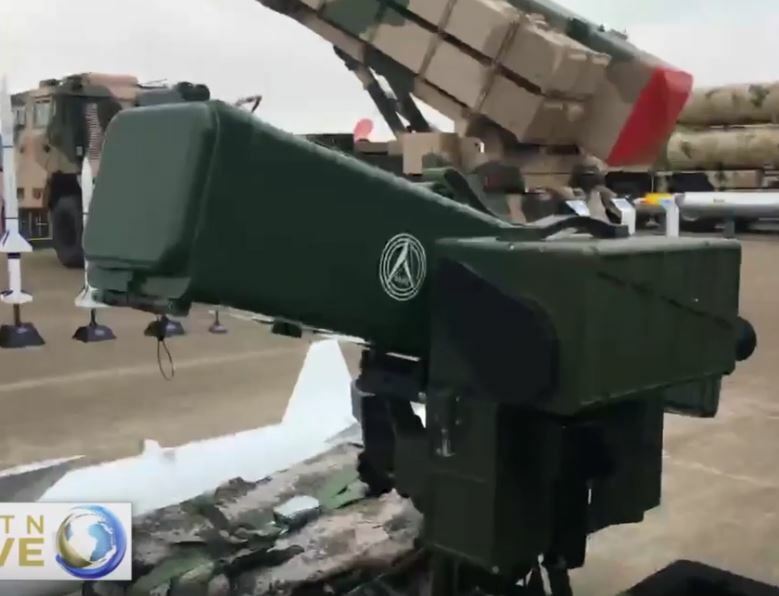 Chinese media identified it as the TL-4 “image-homing guided missile.” Its size and shape marks a complete departure from previous ATGM designs and is yet more proof of local innovation. The TL-4 is a rectangular launcher attached to a fire control system. Individual missiles are installed by hand and the “image-homing” function could mean it’s a fire-and-forget system where the operator locks on a target and the munition autonomously travels towards it. It’s unclear if the TL-4’s missile follows the operator’s line of sight, or if it’s a top attack missile that soars upwards and slams into the target at a steep angle, or a combination of both. The size of its electro-optical sight conforms to day/night/thermal cameras with tracking software. During the Zhuhai 2018 a representative of the manufacturer–the logo on the launch tube is an arrowhead embossed over a circle–demonstrated how it’s used in combat. When mounted on an ATV, the operator is able to travel with the TL-4 over rugged terrain undetected with a supply of missiles. Once loaded, the operator can stand behind the fire control system and launch a missile using an ergonomic grip. It’s also possible to install a battery of TL-4 launchers on an armored vehicle for mobile firepower. 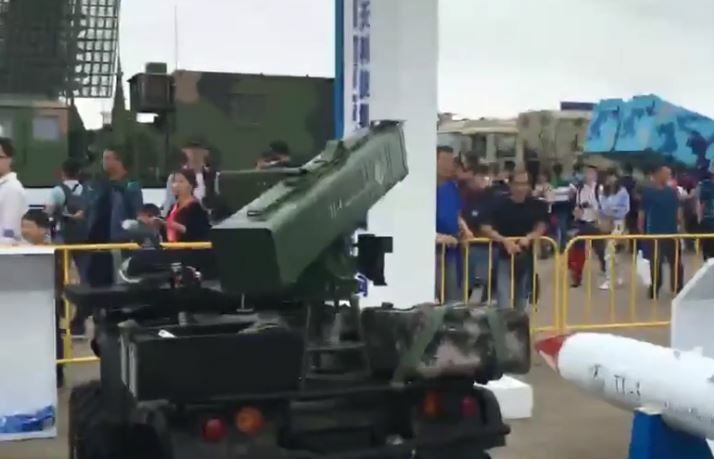 The weapons shown at the Zhuhai Air Show are usually meant for sales abroad and if the TL-4 is destined to go anywhere, it’s among countries who’ve acquired other Chinese anti-tank weapons before. Egypt, Sudan, and Pakistan, for example, were able to localize production of the HJ-8 wire-guided ATGM whose performance matched the ubiquitous French MILAN. Details about the TL-4’s missile and its effectiveness against armor are scarce at the moment. Since it’s being positioned as a adaptable missile launcher for ground forces, its capabilities must be within short and medium-ranges. It’s sensible for the manufacturer to offer different munitions as well, such as tandem warheads and maybe an anti-structure explosive. The TL-4 doesn’t look like it’s part of the “Red Arrow” brand of portable infantry missiles. Since the beginning of the decade other Chinese companies have rolled out precision weapons tailored for customers overseas. Now that it’s been revealed to the public, the TL-4 will be competing with at least three similar ATGMs from the West. Foremost is the Spike SR or Spike-SR manufactured by Israel’s Rafael and a European partner that’s designed to be carried on a soldier’s back. There’s also the Enforcer, a handheld missile launcher from France’s MBDA, whose appearance resembles the TL-4. Ukraine’s Luch Design Bureau has the Skif whose production is transferable abroad. There are even a few homegrown models that might subsume the TL-4. All of Norinco’s Red Arrow missiles have export variants whose firepower and performance look very good. To date, the TL-4 is up against the HJ-11, a heavier model similar to Russian beam-riding ATGMs like the Kornet, and the HJ-12 that’s often compared to the US military’s Javelin top attack missile. Still, the variety of Chinese weapons available in the global arms market should remind everyone its technological base can no longer be dismissed.